Mores Creek Summit Backcountry Skiing: Ski Tour Planning for MCS - What resources should I use before skiing tomorrow? Ski Tour Planning for MCS - What resources should I use before skiing tomorrow? Today I was pleased to see the use of the term 'Situational Awareness" in a Facebook posting by the US National Weather Service-Boise. There has been a lot of conversations during the last few years about decision making in Avalanche terrain, as well as the importance of trip planning. However, we have been slow integrating situational awareness (SA) into decision making. SA has been important to big wave surfers as well as sailors. I grew up doing both. In order to survive and enjoy the power of waves and the ocean (in a surfboard or sailboat), we where disciplined (maybe obsessed!) about perceiving, understanding, and anticipating nature. 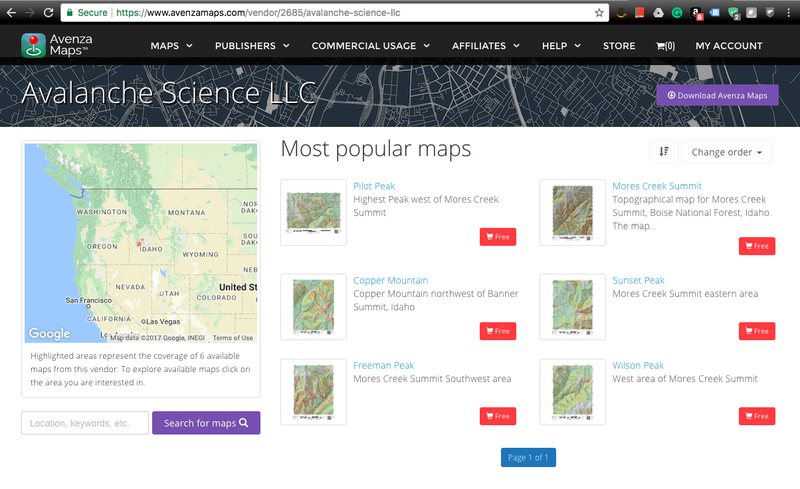 So how do we use SA for planning a ski tour at Mores Creek Summit? First, let's examine the perception of the environment. The avalanche environment is the combination of snowpack, weather, and terrain, as well as our touring companions when in the mountains. We will discuss each one. 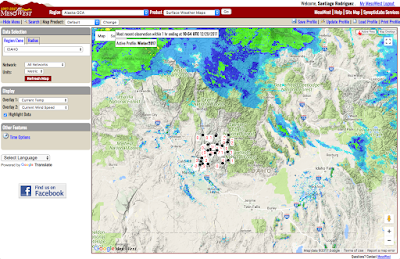 Check the forecasts for the Payette Avalanche Center and/or Sawtooth Avalanche Centers. If you have been doing that for a week or so, you might have noticed a discussion about the development of a "persistent slab" avalanche problem this winter in Central Idaho. How a persitent lab is formed? As the precipitation snow sinters and settles (densifies), the slabs progressively becomes more cohesive. Wind or terrain with shallower angle intensifies the slab formation. The Christmas snow has now become a slab and it buried an old snow surface. The old snow surface was transformed into facets during clear weather. The facets become a weak layer once buried by a slab. This weak layer consists of persistent crystals. They are persistent because it takes a long time compared to new snow to round and form bonds (sinter) within its crystals. Facet crystals due to their highly hexagonal crystalline structure and lower surface area per volume take longer to transition into rounds and sinter. By recalling the Southern Idaho weather trend (tranquil and dry with snow in the ground) and the latest new snow that had enough time to develop a slab, we should suspect that we might have a "persistent slab" problem type. And that is confirmed by the Avalanche Forecast Centers in their latest forecast products. In addition, there is data from friends and others (like this blog) that have documented the presence of persistent slabs in some areas. If we intend to ski at Mores Creek Summit tomorrow, the avalanche problem type defines the snowpack we will be traveling and skiing on. We discussed meteorological factors that resulted in the Persistent Slab problem type present today at MCS. But we also need to consider how the weather conditions will impact the snowpack now and during the hours prior to our tour. There are two elements for the weather "environment"; what is going on right now, and what will happen tomorrow. If you zoom into MCS area you get two stations; one at the top of Pilot Peak and another at the MCS snotel. 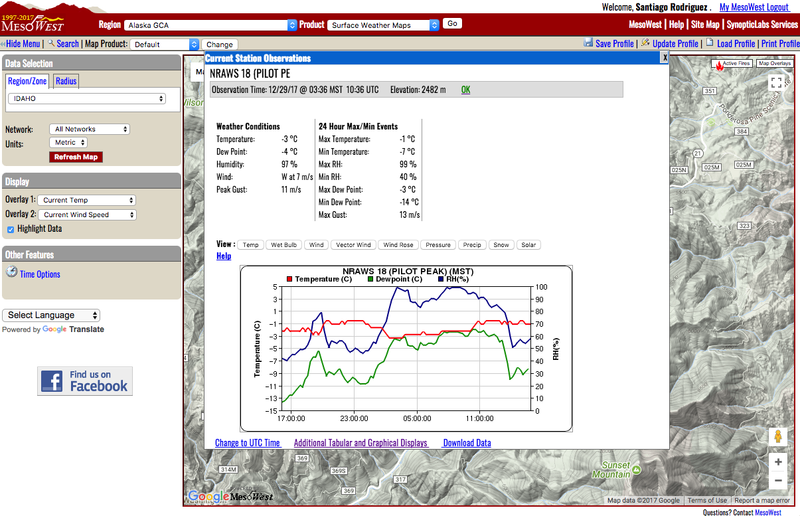 Clicking on the stations (for this case Pilot Peak Summit) a graph pops up with Temperature and Relative Humidity. You can also select wind and solar output charts. 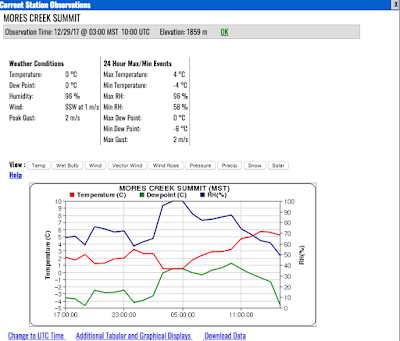 The chart is important because it shows that temps at the top of Pilot Peak have been between -3 and -1 Deg C during the last 24 hours. These temps would have resulted in further development and strengthening of the persistent slab at MCS. The wind speed is increasing as the storm approaches. The wind direction at the top of Pilot Peak is from the SWW. 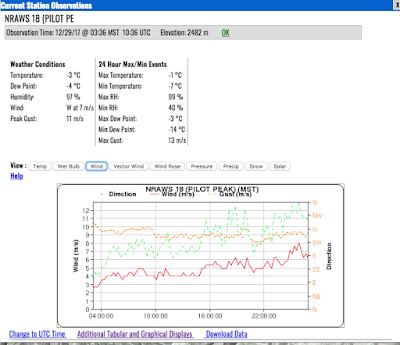 The wind speeds are moderate, and two days ago there was snow available for wind transport, thus it is possible that localized wind slabs might form near the top of Pilot Peak. This is a second avalanche problem type so far identified. If you click on the Snotel station you get temps above the freezing point for the last 24 hours. Thus it is possible that a crust might have developed at the snow surface prior to the new snow precipitation event. Or perhaps, there will be an interface between precipitation events. Can this result in a shallow storm slab problem between the Thursday and Friday precipitation events? The Snotel stations are managed by the Natural Resources Conservation Service. 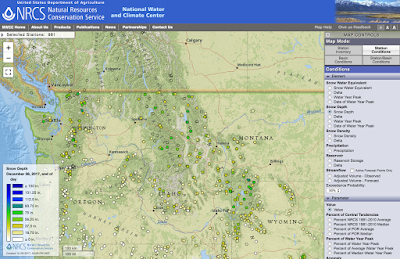 An interactive map can be accessed at https://www.wcc.nrcs.usda.gov/webmap. Depending on what parameters you choose it might look like the shown below. I like to display the snow depth variable. Move the cursor over the Snotel stations and select MCS station. By clicking on the station you can get into a 30-day or 7-day report. Or you can create a custom report, just like the one shared below. You can scroll the mouse pointer into the precipitation data points. 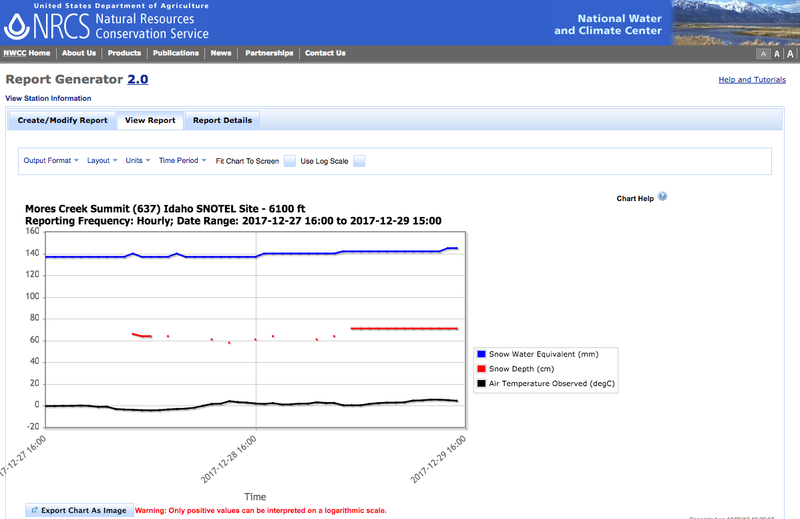 For the above chart, there was an increase in snow depth from 61 to 71 cm. 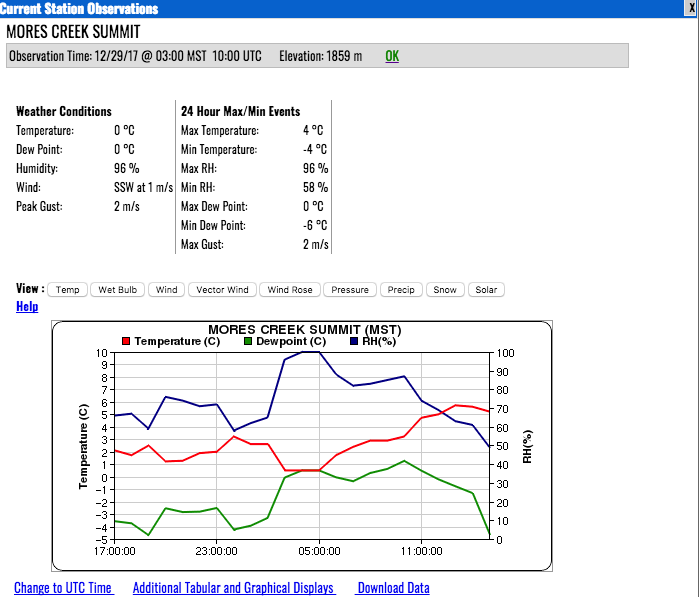 In summary, during Thursday night, 10 cms of new snow precipitated at 6100 feet (elevation of MCS Snotel). Temps at 6100 feet have been above the freezing level favoring slab densification and a possible development of a crust, factors to consider when another precipitation event will deposit additonal snow. 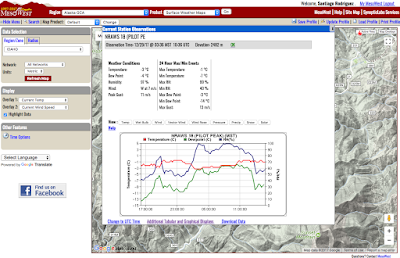 On the other hand, Temps at Pilot Peak summit have been below the freezing point and in combination the SW wind it is reasonable to expect the formation of wind-slabs as well as the transport of snow in some areas (cornice formation at the top bowl or other ridges above 7500 feet). Next we want to know what the weather will do tomorrow. 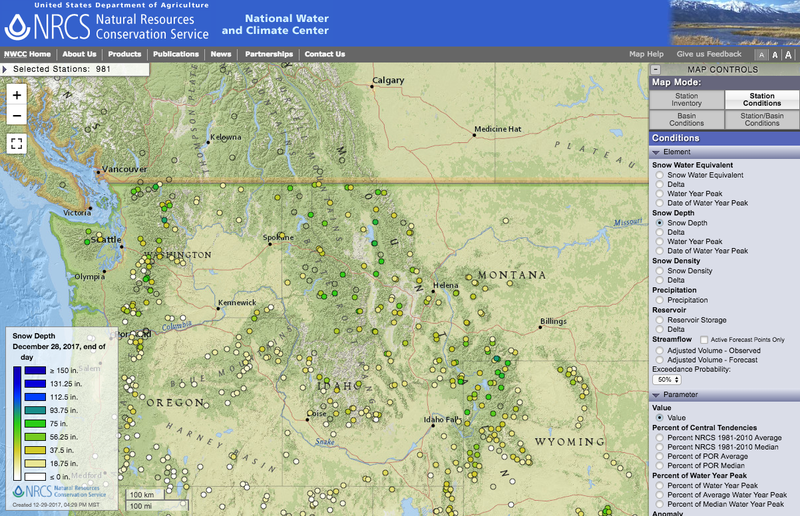 There are many resources at your disposal, but I recommend for starters this one: http://www.weather.gov/ click into Western Idaho, and follow up with another click in a smaller map over to the NE of Idaho City, above the "d" letter in Idaho City. 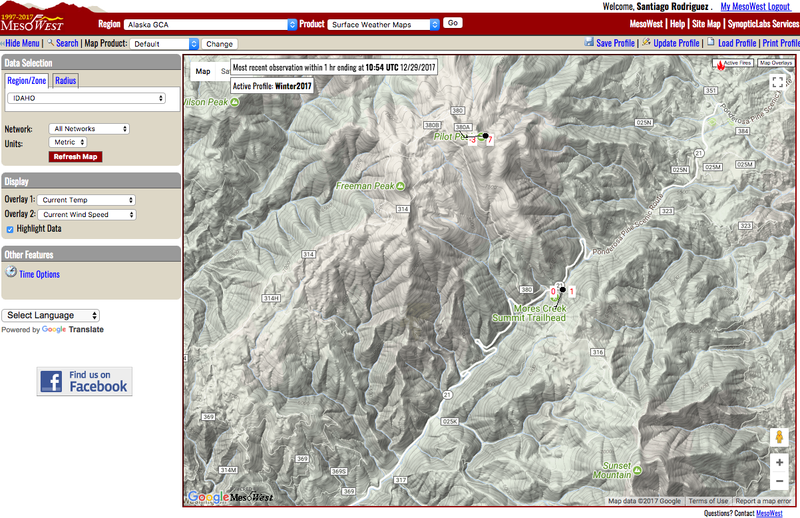 Use the topo map window to refine the forecast for the area of interest (for our case Pilot Peak Summit). Proceed to click the "Hourly Weather Forecast" below the map window. 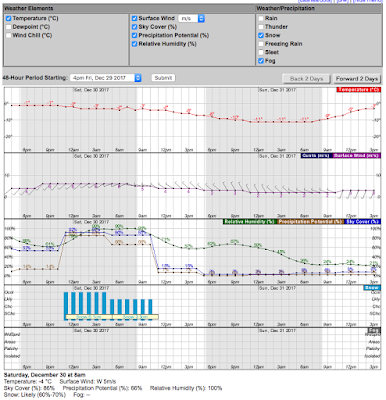 This forecast is for tomorrow and corresponds to the general area of Pilot Peak Summit. The precipitation forecats predicts ~9 cm of overnight snow with a slight cooling trend. The temperature forecast shows a coling trend during the day. The sky cover forecast is for the sky to open up before noon. Winds are forecasted to be low-moderate from the NE. A possible total of 20 cms of NEW snow precipitating in a reactive snowpack with a "persistent slab" problem type. How the risk of triggering avalanches and consequences are impacted by new snow in top of an unstable snowpack? Colder snow above warmer slow - this good for skiing conditions! Thursday snow might have a surface crust at lower elevations (~ below 7000 feet) separating the new snow predicted for tonite (Friday night). 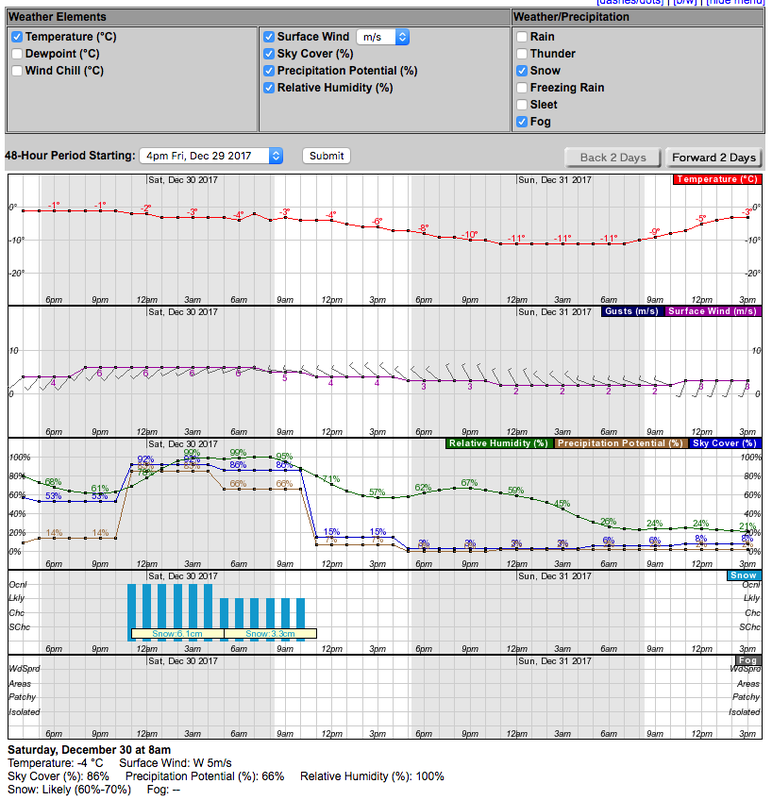 Is it possible to find a shallow storm slab problem tomorrow at MCS? Moderate winds from SW shifting to NW. New snow available for transport. Where can we find wind slabs? 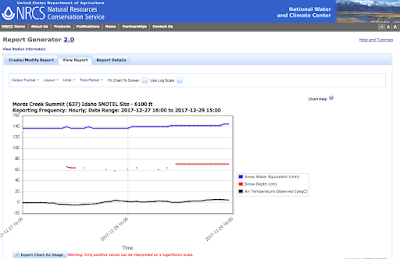 The total snowpack at MCS Snotel by tomorrow might reach tomorrow 80 cm, well below average. Snow coverage at lower elevations slightly improving, but what are the risk of underbrush and deadfall? Visibility improving with partly sunny conditions by mid-morning. An invigorating sense of happiness with a crystalline white landscape, new snow, great skiing, and sunny weather. Is it possible to deviate from a good plan due to "feel good blue ski day"? It is not possible to cover in this posting how to develop a plan based on the above Perception of the Environment. It requires an understanding of the Avalanche Triangle (Weather, snowpack, Terrain). That understanding will enable to anticipate, a key component during the development of ski touring plans. Consider an avalanche class or refresher, where it is covered snow metamorphism and avalanche release mechanisms. 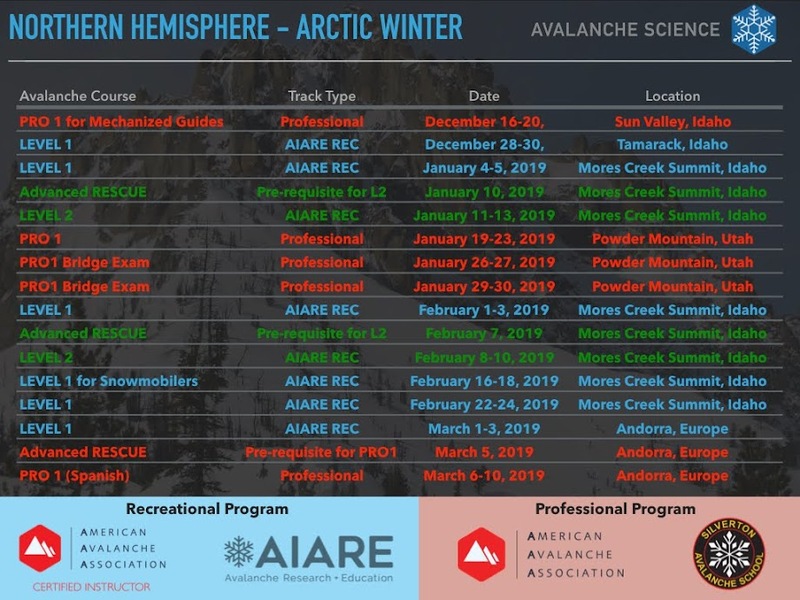 Remeber that it is now possible to participate in avalanche courses at MCS! 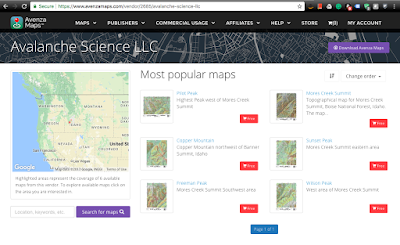 Visit SKIPILOTS.COM or AVYSCIENCE.COM for the various avalanche educational offerings. This posting was a realistic exercise to show how much we can learn from the "avalanche" environment with online resources and tools available at smartphones We got started by asking - How we can improve situational awareness? We briefly explored the weather and snowpack for MCS. Your homework is to integrate what we learned into the MCS terrain. In other words - define where to safely travel and ski, and map it. Foremost the planning is completed when you have identified, with a map at hand (or in the smartphone/tablet/PC) where NOT to travel and ski tomorrow! A big component of Situational Awareness is becoming familiar with the terrain characteristics such as; aspect, elevation, slope angles, wind loading areas, wind protected areas, open/heavy timber areas, terrain traps, snow-covered forest service roads, creeks, among other terrain features. The maps for MCS are available on this blog and are provided with slope angle coloring. 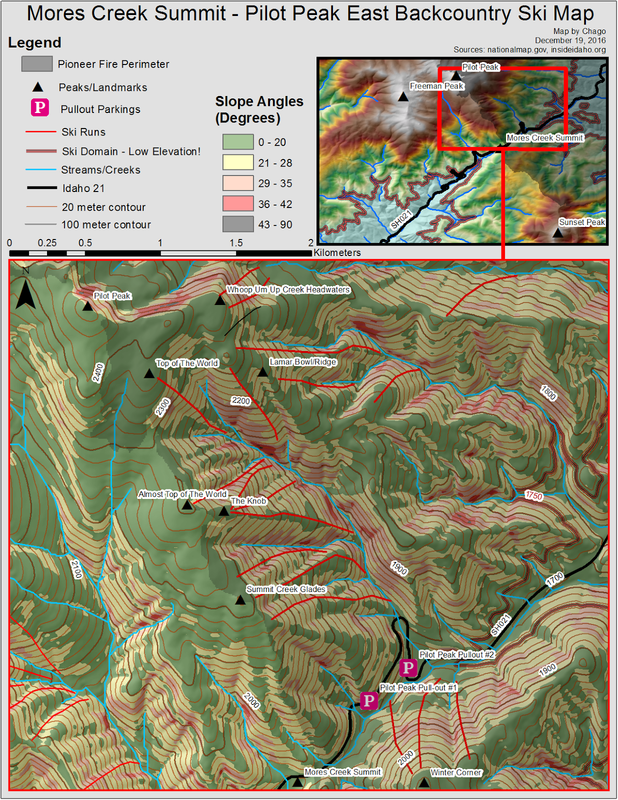 The topo maps for Mores Creek Summit area are based on 10 meter resolution DEM source. I have been recommending to load Avenza into your smartphones. The application allows you to draw tracks. For example, use the drawing function to denote your uphill track, as well as creating segments representing lines you intend to ski. In the field, you can compare planned versus actual track/segments. And more importantly, while in the field, if you deviate from your plan you can clearly improve your situational awareness by identifying avalanche terrain based on the map slope angles. 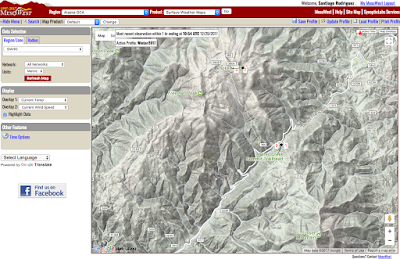 I intend to add other maps from Idaho to this database as my discretionary time allows. There are other terrain mapping apps for smartphones that work very well and that I also use (such as GAIA). The intent here is to make sure that the MCS backcountry community has access to the basic tools necessary to integrate SA into ski touring. An aspect we did not cover here is the Social Environment. Tha HUMAN element is key in the formulation of a plan. I will do that in a future posting. Touring/riding skills, avalanche terrain travel experience, attitude, health, gender, risk acceptance, and personality can interact positively or destructively during development and execution of a SAFE ski touring plan.